Summer is almost over. I can't believe it, because I haven't made a single summer themed cookie. The last cookies I remember making were graduation cookies in June...and suddenly summer just slipped by. I guess I have been very occupied with other things. I got a baby green cheek conure bird in mid June. Like...2 weeks old baby. He had no feathers. I was busy hand feeding this baby until early August. Then I had to celebrate my 1-year anniversary with the hubby is Costa Rica. Time just slipped by. Below is a picture of my baby bird, he is about 6 weeks old here. Anyways. 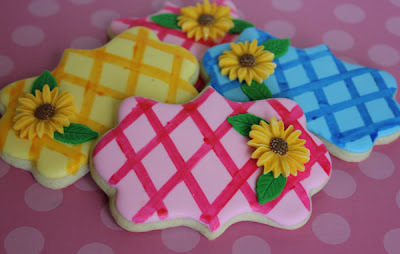 Back to the main subject- cookies. I actually am still very busy, I'm working on a cake for my father-in-law's birthday this week. He's into biking. 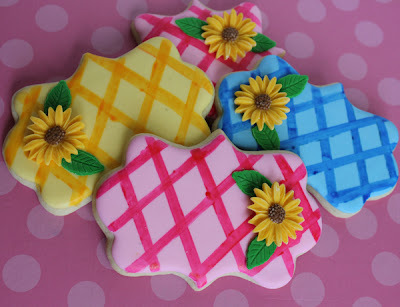 So I opted to make a very simple cookie for summer. It takes less than 2 active hours to make these. That simple. 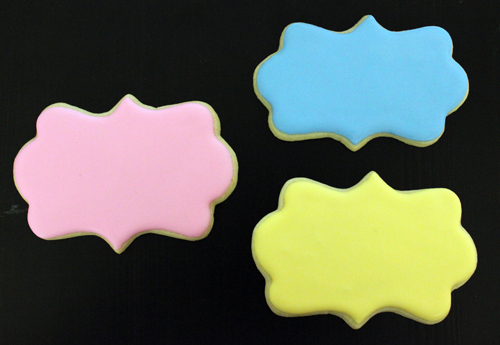 You start with an iced cookie. Let is dry overnight. 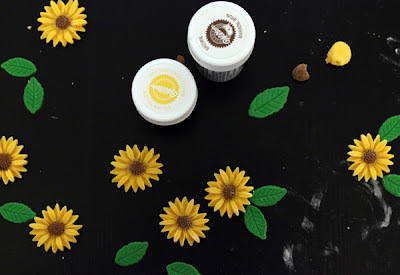 While the cookies are drying, make the sunflower. I used a silicone mold and gumpaste. 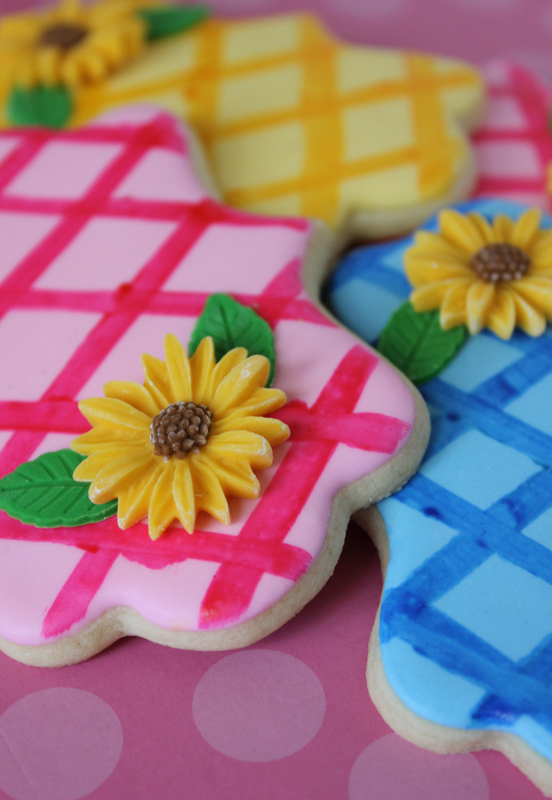 After the cookies dry, paint on the gingham stripes. I used a ruler to help with straight lines. It didn't work as well as I hoped, but oh well. I mixed a couple drops of vodka with the gel food colors to make paint. I hope you enjoy making this simple cookie.